Anyone trying to induce voters will be punishable, the election officer warned. 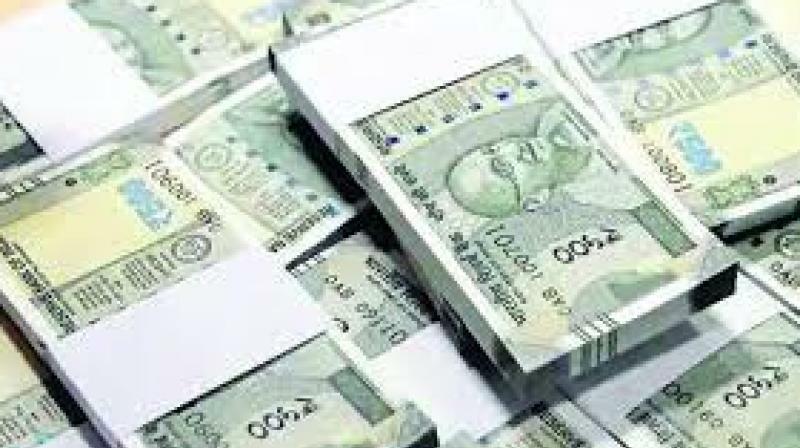 Kadapa: District election officer and collector Harikiran warned the public not to carry cash more than Rs 50,000 with them without proper documents failing which the money could be seized. Surprise checkings are being held in all parts of the district, he said. Police has so far seized around Rs 4.34 crore cash, gold, liquor and other goods, he said. A total of 53 cases have so far been registered regarding the cash seized beside the arrest of 85 individuals in 155 liquor cases, he explained. When the election schedule was released, police seized 1.94 crore cash without proper documents, goods worth Rs 2.84 crore including gold worth Rs 90 lakh and filed 53 cases, he added. Besides, 32,700 litres of liquor worth Rs 1.32 lakh was also seized and 65 persons arrested in 155 excise cases. A total of 72 belt shops were closed. Anyone trying to induce voters will be punishable, the election officer warned. He advised voters to inform thee authorities about anybody trying to distribute cash or any other articles. A control room has been set up to work 24/7 where the voters can give approach. They can also call numbers 08562 256066, 256077 he advised. Voters can complian through C-Vigil app. All arrangements have been made to ensure a peaceful election, Mr Harikiran said. Postal ballet felicitation centres arranged District Election Officer arranged postal ballet felicitation centres at Kotireddy womans college and Saint Josef junior college, Kadapa. The police security, RTC staff, sectorial officers, micro observers are to be cast their votes in this felicitation centres on 3rd April, without fail the district election officer and Collector Harikiran advised. These two centres will work till 9 AM to evening. 25,000 staff are working for elections, all of them must cast their vote he said. Those who are joined for the election training on Tuesday, the PO, APO, OPOs must cast their vote he advised. He visited the training centre on Tuesday and guided the staff there.